Akola is a city in Akola district in Vidarbha region in the state of Maharashtra in central India. It is about 600 km east of Mumbai( “Bombay”) and 250 km west of Nagpur. Akola is the administrative headquarters of Akola District located in Amravati Division. Akola Airport (also known as Shivani Airport) is the domestic airport of Akola city at an elevation of 999 ft (304 m) and has one runway (4,600×145 ft). The airport is just 7 km away from the city on National Highway No. 6. 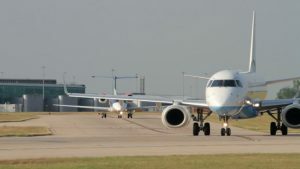 The nearest international airport is at Nagpur (250 km) and at Aurangabad, Maharashtra (265 km) . Renovation and operation of Akola airport is taken by Airport Authority of India. 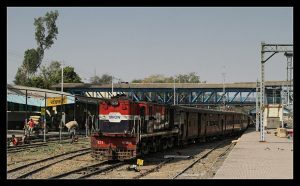 Akola railway station has good railway connectivity with direct trains to Mumbai, Delhi, Ahmedabad, Rajkot, Okha, Surat, Nanded Jodhpur, Bikaner, Jaipur, Kolhapur, Pune, Kamakhya, Indore, Mhow, Ujjain, Khandwa, Ratlam, Bhopal, Chittorgarh, Nagpur, Gondia, Bilaspur, Howrah, Hatia, Puri, Madras, Hingoli, Purna, Parli Vaidnath, Tirupati, Ganganagar, Secundarabad and Nampally, Hyderabad. Akola, situated on both the broad gauge Howrah-Nagpur-Mumbai line and the Kacheguda-Jaipur meter gauge line, is an important junction for passengers from North and South India and also for freight trains.Important railway stations in Akola region with their codes are Paras, Gaigaon, Akola Junction (AK), Murtizapur Junction (MZR) and are under Bhusawal-Badnera Section of Bhusawal Division of Central Railway. The “NH6” runs through Akola from Hazira (Surat) to Kolkata. NH6 is a part of Asian Highway 46. 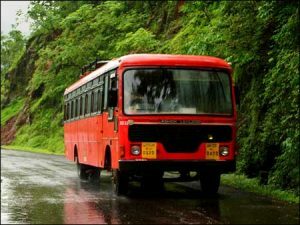 Maharashtra state transport buses are most commonly used by people to travel to rural parts of the region. They are the cheapest means of transport.State-owned and private air-conditioned bus services run daily to most major cities to and from Akola. The bus frequency is good. Bus service is available for cities like Nagpur, bhopal, Indore, Hyderabad, Nanded, Amravati, Mumbai, Nashik, Jabalpur.